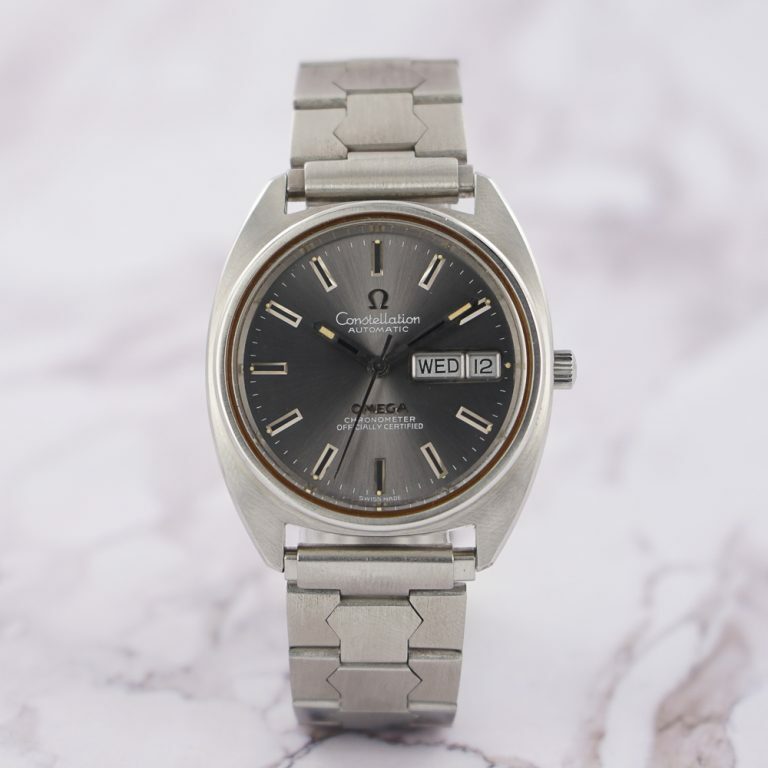 This is a very uncommon 70s Omega Constellation with very interesting design and top condition. What we love in it is its weel balanced shape, its absolutely striking sunburst gray dial and the beautiful hands, showing a patina to die for. Coming with a very cool day date complication, it is the best of the early seventies. And as this watch is unusual, we choosed to pair it with a not less unusual “turtle” steel bracelet, vintage and NOS. The watch is overall in excellent condition, close to new. Dial is in perfect condition, case has never been polished and shows no aging marks. Glass is in perfect condition. Band has no strech, being new old stock. Asking 1250€ shipped, follow the link below for more info and pics and for our other watches.